Parts: Available as a one-piece uniform for women and two part uniform plus hat for men. 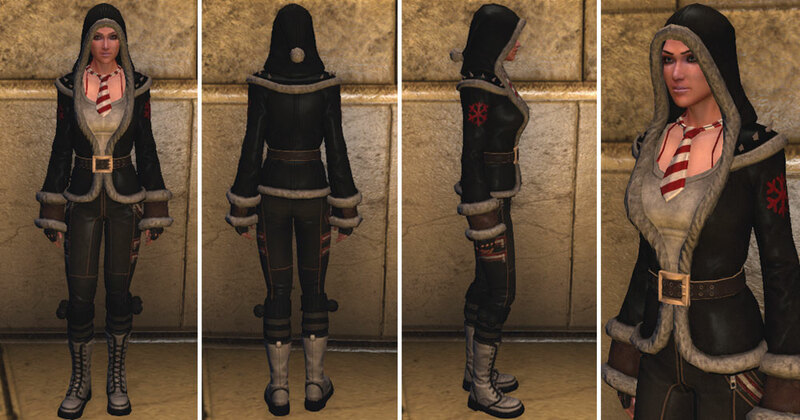 Previous years had a red and black version of this outfit, both are available again during the Winter holidays events. 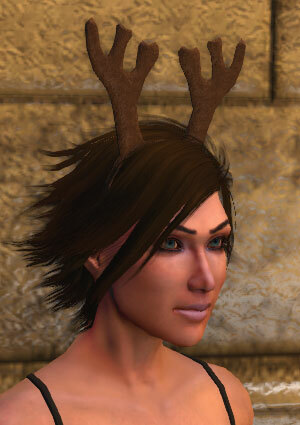 Note: The antlers are a Head Accessory slot item. Note: Socks use the feet slot and hence cannot be worn with shoes. Price: 180 FC single character / 225 account wide. 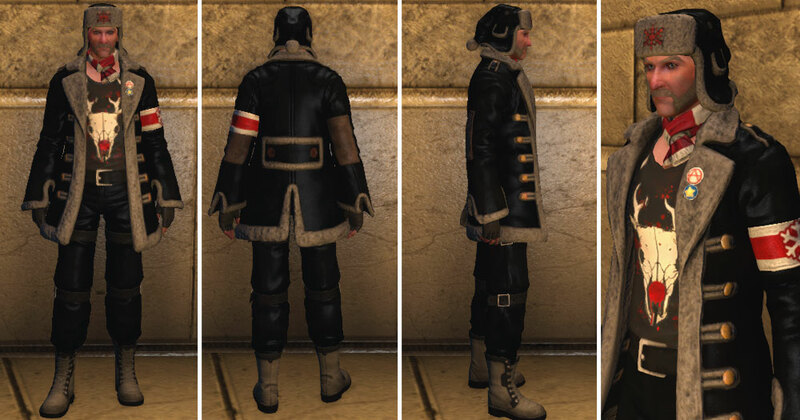 Parts: Outfit is a single piece uniform for women, and two piece uniform plus hat for men. 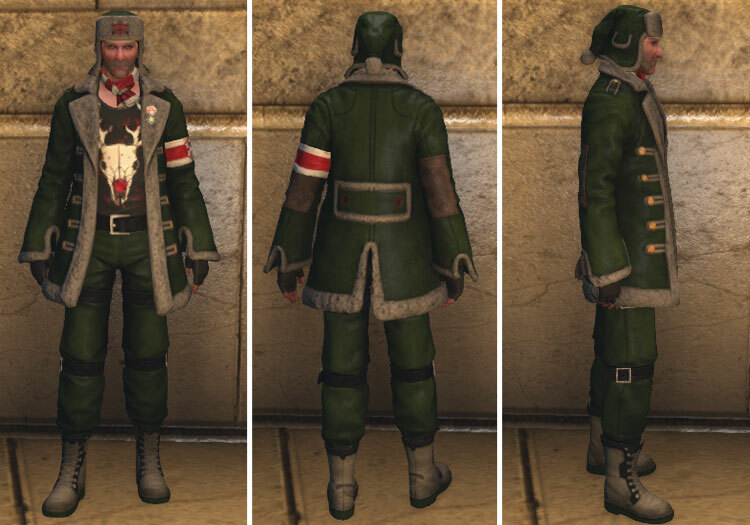 Available during the winter holiday season event. 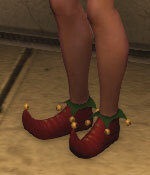 Note: A red Christmas 2012 version is also available. 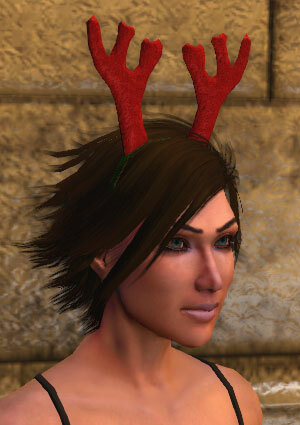 Note: Currently the Knitted festive sweater, red displays as black.